The Beauty Mark Medical Spa now offers this highly effective, FDA-cleared treatment that lifts, tones, and tightens loose skin on the face, neck, and chest areas. 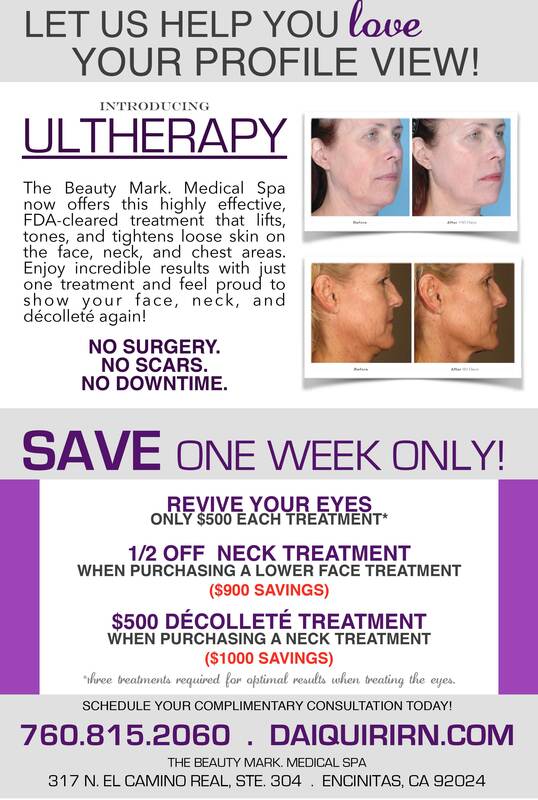 Enjoy incredible results with just one treatment and feel proud to show your face, neck, and décolleté again!!! NO SURGERY! NO SCARS! NO DOWNTIME! ONLY $500 EACH TREATMENT*! ! *three treatments required for optimal results when treating the eyes. 1/2 OFF NECK TREATMENT ! WHEN PURCHASING A LOWER FACE TREATMENT ! WHEN PURCHASING A NECK TREATMENT !